Between your couches, dining room chairs, armchairs, and love seats, you may have a lot of upholstered furniture throughout your house. This type of furniture does a great job at attracting dirt and grime. It’s comfortable furniture, so it certainly gets its fair share of use, and sometimes stains are impossible to prevent. But that doesn’t mean they are impossible to remove! 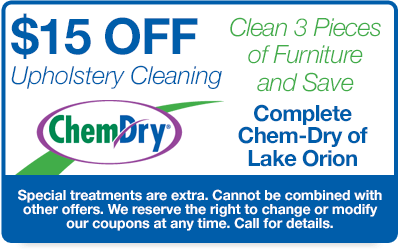 With Complete Chem-Dry of Lake Orion, even the dirtiest, most stained furniture can look like new again! Our team of professional upholstery cleaners will clean the dust, germs, food crumbs, and all the other particles that have found their way into your upholstery. Our upholstery cleaning process refreshes your furniture. We use a fast-drying process, allowing you to get back to using your furniture the same day. With a deep and thorough upholstery cleaning, it’s clear how Chem-Dry cleans for your health like no one else. Our exclusive Chem-Dry upholstery cleaning process, known as The Natural®, uses carbonated bubbles that penetrate the fabric, dissolve the stains and grime, and lift the pieces to the surface for removal. It is a non-toxic process that is safe for your family, pets, and furniture. Also, because we don’t use any harsh soaps or detergents, you won’t be left behind with sticky, dirt-attracting residue. This means your furniture will stay cleaner longer. Our upholstered furniture cleaning services are powerful enough to defeat the deepest stains, gentle enough not to harm your furniture and safe for your entire family. 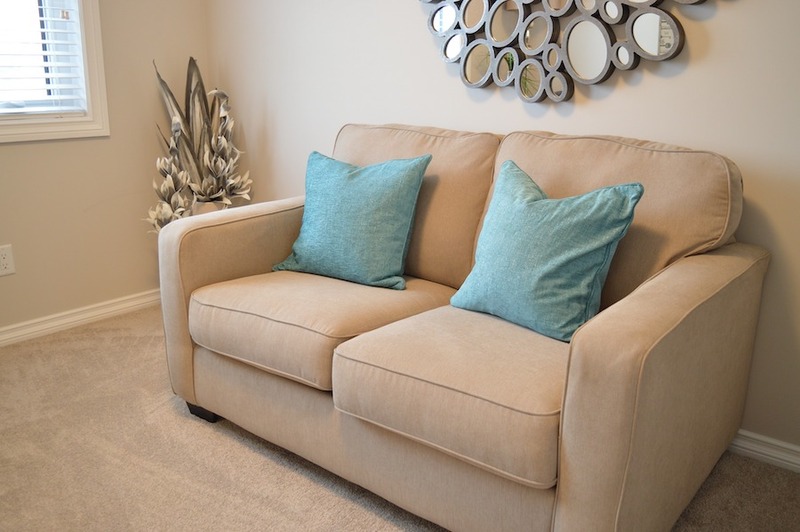 Complete Chem-Dry of Lake Orion’s toxin-free cleaning system leaves your upholstery as fresh as the day it was purchased, and actually helps it stay that way longer.